For 4 places bought, 1 parking space is offered. - Minimum purchase of 2 seats. - Tickets will be sent out in a secure envelope to the delivery address indicated at the time of your purchase between 3 and 1 week before the date of the event. - The invoice will be sent out later on. France / Albanie - Loge partagée OFFER YOUR GUESTS A PRIVATE BOX EXPERIENCE THEY WILL TALK ABOUT AFTERWARDS ! France / Andorre - Shared VIP Boxes OFFER YOUR GUESTS A PRIVATE BOX EXPERIENCE THEY WILL TALK ABOUT AFTERWARDS ! The e-tickets give you access to both Stade de France and to the VIP lounge. Finale Top 14 - VIP Lounge - 15.06.2019 A festive atmosphere, refined dishes, receive your guests in a lounge a few steps away from your seats. For the good follow-up of the file, be sure to provide a valid email address. 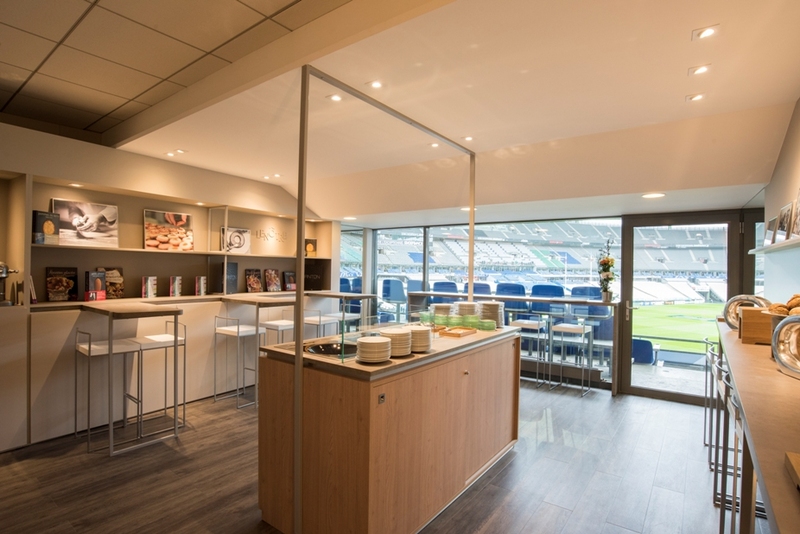 France / Moldavie - Shared VIP Boxes OFFER YOUR GUESTS A PRIVATE BOX EXPERIENCE THEY WILL TALK ABOUT AFTERWARDS ! • Your tickets will be available only in the form of e-tickets to be downloaded from your "Customer space" on stadefrance.com no later than one week before the event. • You must print your tickets, without which you will be denied entry. • To place a new order and be sure of being in the same lounge, you must connect to the same customer account. France / Turquie - Shared VIP Boxes OFFER YOUR GUESTS A PRIVATE BOX EXPERIENCE THEY WILL TALK ABOUT AFTERWARDS !